Have you submitted your vote yet? With the World Airline Awards to take place at Paris Air Show on 18th June 2019, there are just 6 weeks remaining for airline customers to submit their votes and help decide the winning airlines. This is your chance to play a part in deciding which names appear on the Award trophies above! Since the customer survey launch in 2018, Skytrax have reported record numbers of travellers submitting votes in the current project, and expect to beat the 2017-2018 survey response total. With 6 different survey topics online, the survey is available in English, French, Spanish, Russian, Chinese and Japanese. The World Airline Survey has operated since 1999, and is conducted by Skytrax, the international air transport research organisation. The survey is highly regarded for the clarity of process and rigorously applied rules of independence. 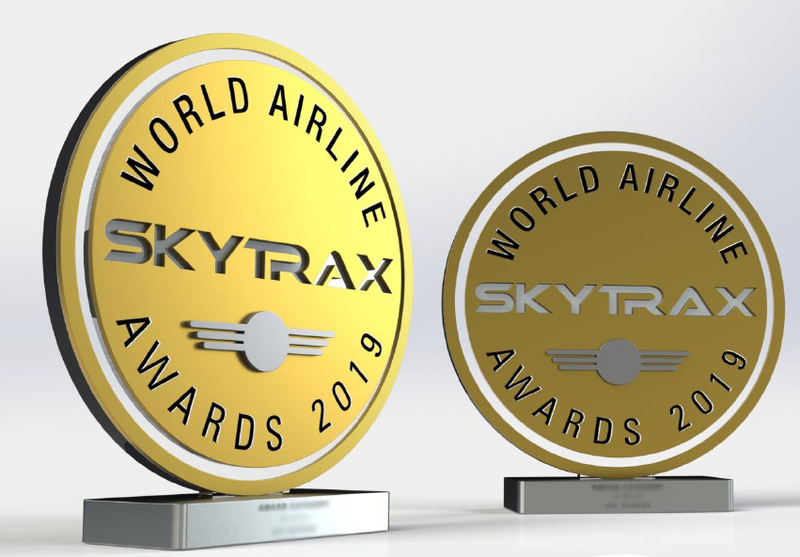 The Survey results can be viewed online at the World Airline Awards. Described as “the Oscars of the aviation industry”, the World Airline Awards are most coveted Quality accolades celebrating excellence in the world airline industry.